73 Madison Shore Boulevard Madison, NH. | MLS# 4730187 | Homes for sale in nh, BobbyVan Realty can help you find homes in NH & Mass, information about the New Hampshire & Massachusetts real estate market. Newly constructed 2 Bedroom, 2 Bath home with open floor plan is ready for the holidays. 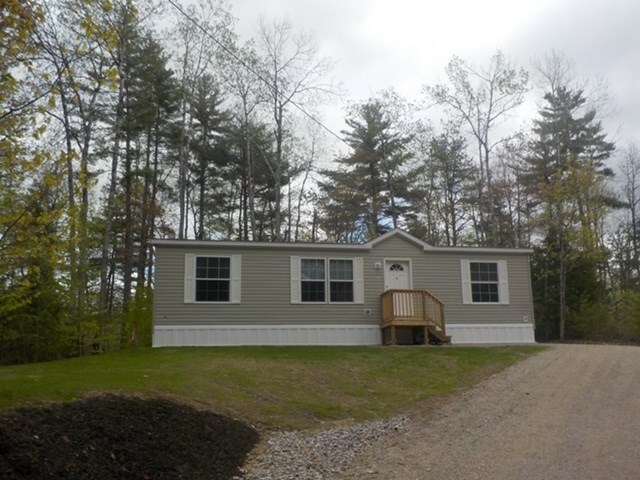 This brand new 2019 model double wide mobile home is situated on a 1/4 acre lot in Madison Shores - no park rent here - with beach rights to three ponds! A nice den provides room for crafts, games or guests. Upgraded kitchen features stainless appliances, side-by-side refrigerator, dishwasher, and microwave above the propane stove. Abundant cabinets with the center island. Plenty of windows to let in the sunlight, including the sliding glass door to a rear deck. Energy efficient, with affordable propane heat. Easy to show - and priced right - this one will not last long on the market.